Congratulations. You have an associate degree. All that hard work has paid off. If you’re like many, you’re ready for more after community college. After all, a four-year degree is the best ticket to prosperity, with pay averaging $400 per week more than those with two-year degrees, according to federal statistics. Within 10 years, the gap is closer to $25,000 per year. And Michigan’s 14 independent colleges and universities are the fastest way to a four-year degree. That’s because they make it easier to transfer and most of their students actually graduate in four years rather than five or more at big state schools. Time was, transferring was difficult, in large part because credits wouldn’t transfer, wasting time and money. Not anymore. Not only do Michigan independent colleges and universities have admissions staffers specially trained to work with community college transfer students, recent state law has taken the guesswork — and subjectivity — out of the process. The state Legislature passed laws in 2012 to make more community college core classes transferrable at four-year institutions statewide, a system known as the Michigan Transfer Agreement. Transfer students to Michigan independents hit the ground running. On average, the percentage of students who graduate from independents in four years is nearly double that of public institutions, not only saving them a year of tuition but giving them an extra year of earnings in their careers. And speaking of cost, the independents are among the most affordable in the Midwest. That’s because more than 93 percent of students receive financial aid, lowering advertised tuition and bringing actual costs on par with many public universities. That means our education is not only priceless. It’s affordable too — one of many differences with traditional universities. Unlike big state schools, class sizes are small and taught by incredible faculty who help students forge their own path. They have a deep and committed network of alumni who help after graduation. It’s an experience that simply isn’t available at traditional universities. Community colleges are hot. Nationwide, some 7.3 million students attend them and, all told, they comprise nearly half of all undergraduates in the United States, according to the American Association of Community Colleges. Too often, though, they’re a final destination instead of a starting point. That’s in part due to misperceptions that credits are difficult to transfer to four-year colleges to obtain a bachelor degree. Like a lot of stereotypes, it’s far from the truth, especially at Michigan’s top 14 colleges and independents. Some of the best schools in Michigan, the independents are also some of the most welcoming to community college students, with specially trained admissions counselors who make what can be an intimidating transition a smooth one. The difference between an associate and bachelor is huge. Start with pay: It’s $400 per week higher, on average, for those with bachelor degrees, according to the Bureau of Labor Statistics. And that’s just on average. The gap grows wider as careers progress. Within 10 years, the difference between an associate and bachelor pay grows to $25,000 per year on average. 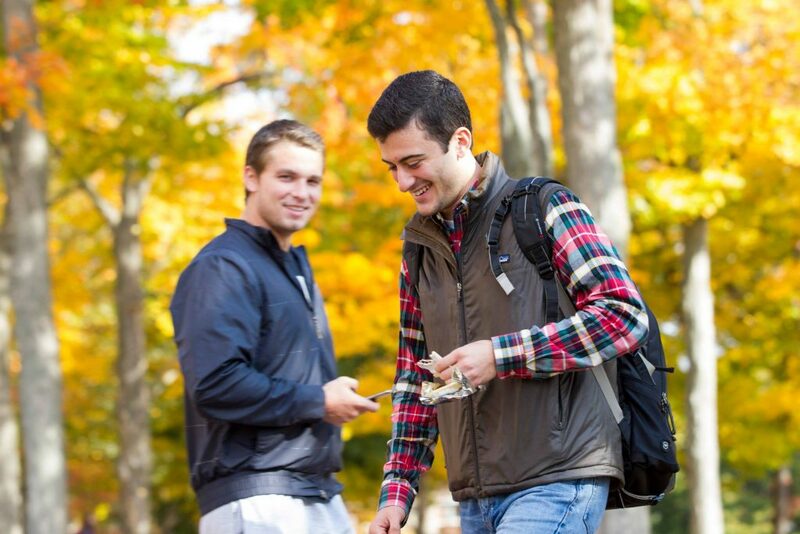 And the Michigan independent colleges make it easier than ever to transfer. With that in mind, here are a few tips to consider. Plan ahead. Know which courses transfer for full credit. Check guides such as the ones operated by the Michigan Transfer Network or the Michigan Department of Education. Call ahead. Hook up with a counselor at one of the Michigan Colleges Alliance member colleges and universities. If you are early in your community college career, they can offer advice on classes to take, which to avoid and how to ease transfers. Get ahead. Meet regularly with advisers, keep them informed of transfer plans and make sure they are in touch their counterparts at transfer institutions. They get paid whether you use them or not. Use them. No doubt. Transferring is a big endeavor. But it’s well worth it and will change your life for the better. That’s because Michigan’s top 14 independent colleges are national leaders in education that help students chart a path to rewarding careers. 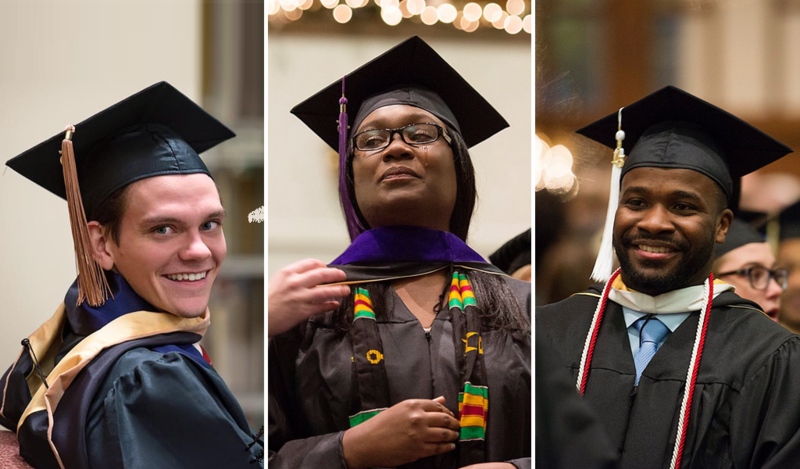 Often comparable in price to public institutions, the independents boast higher four-year graduation rates for a truly unique and affordable experience. These are tense times. Snipers are killing police. Unarmed motorists are dying at the hands of police. Common ground between law enforcement and African Americans can seem elusive. The answer, as it always does, begins with education. And as they always have, Michigan’s 15 independent colleges and universities are stepping forward to lead the dialogue toward solutions. 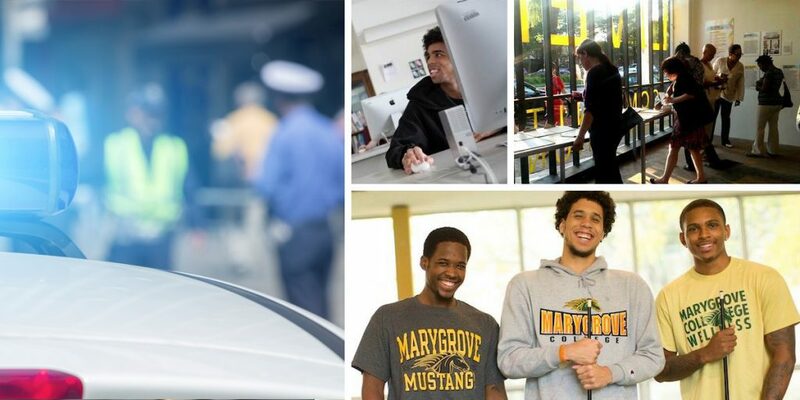 This week, Marygrove College announced a new online bachelor of arts in criminal justice degree. What makes it unique is its approach. Rather than focusing on punishment, it emphasizes what’s known as restorative justice, an approach that focuses on the needs of both victims and offenders and how crime affects community. The program is aimed at working criminal justice professions and accepting applications for fall semester that starts Sept. 6. The program’s intent is broader than simply preparing students for careers. It does that spectacularly. But its goal is to also change the mindset that perpetuates distrust between police and communities, taking a holistic approach to crime rather than simply locking people up. Victim-centered, restorative justice gives victims and offenders the opportunity to take steps to repair harm to communities. Because crime isn’t simply an attack on individuals. It’s an affront to communities. And community is at the core of Marygrove College and the other Michigan independents. 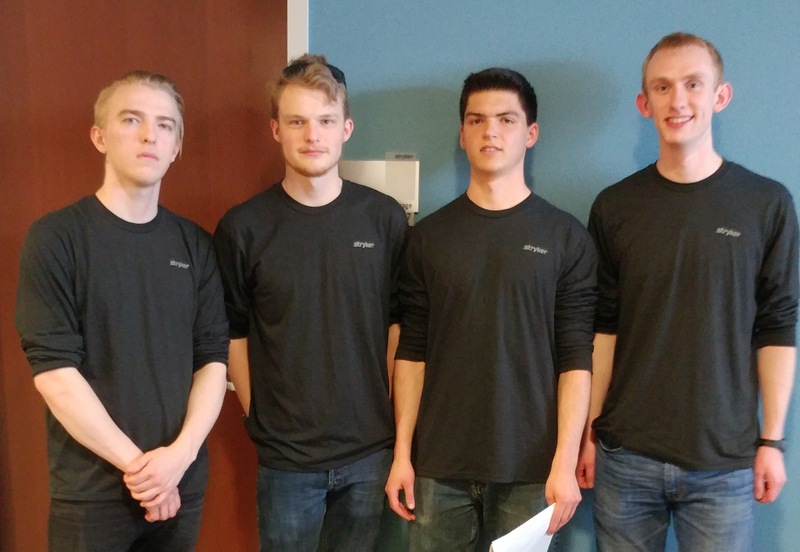 Their mission is to lift all boats, preparing students for awesome careers and preparing them to help the world at large. Community infuses everything about the independents. Unlike big schools, class sizes are small and taught by incredibly faculty who help students forge their own path. Students form lifelong bonds with professors, as well as an impassioned, caring network of alumni who help after graduation. And despite what you may have heard, independents are often less expensive and boast higher four-year graduation rates that big state schools. They sat in a circle, these girls from inner-city Grand Rapids, laid their hands on their neighbor and listened for a pulse. So began an innovative, soul-searching week at Calvin College last month, which brought in 50 girls from three neighborhoods to learn about their health, God and themselves. They were there for HEALTH Camp — Health, Education and Leadership Training for a Hopeful future. 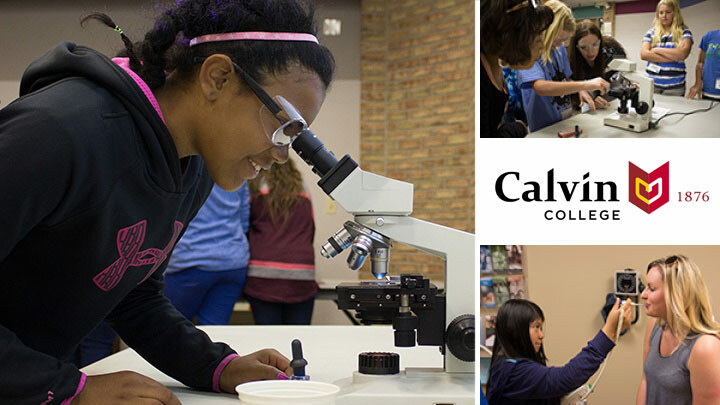 The first-of-its kind day camp at Calvin is an outgrowth of an eight-year outreach between Calvin’s nursing department and three Grand Rapids neighborhoods. The girls learned some basic nursing skills, assisted at Calvin’s Health Service department and were taught by faculty and others about reproductive health, exercise, nutrition, chronic disease and more. “These girls are the future of these neighborhoods, and it’s empowering for them to understand how their bodies work and how to keep themselves healthy,” said Elise Veurink, a Calvin senior and nursing student. The camp was an effort of 10 Calvin departments. One main goal is to prevent unintended pregnancies. Another is self-respect. Long-range plans call for the idea to spread, empowering girls in other communities to respect their bodies and themselves. 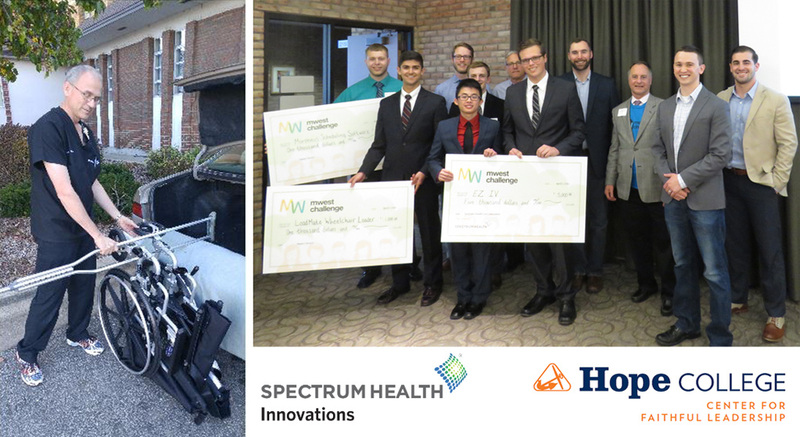 “We want (this) to grow, even beyond our Grand Rapids neighborhoods, to continue to make an impact,” said Adejoke Ayoola, a nursing professor who launched the program. Community. It’s what sets apart Calvin College and Michigan’s other top 15 private colleges and universities. They’re not merely in towns and cities. They are an integral part of their fabric, reaching beyond campus walls and greens to improve the lives of those around them. It’s one of many differences with traditional universities. Unlike big state schools, class sizes are small and taught by incredible faculty who help students forge their own path. They have a deep and committed network of alumni who help after graduation. It’s an experience that simply isn’t available at traditional universities. And despite what you may have heard, independents are often less expensive and boast higher four-year graduation rates than four-year institutions. Doing good for students. Doing good for the community. It’s a way of life so ingrained at Adrian College and Michigan’s 15 independent colleges that it’s practically second nature. 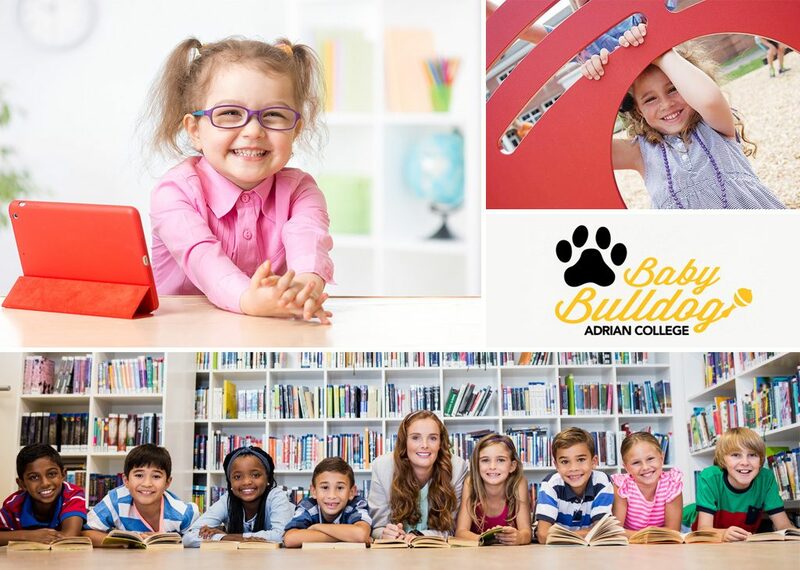 So it shouldn’t have been a surprise this month when Adrian announced the creation of the Baby Bulldog Center, a daycare designed to help both working parents in the Michigan community and education majors at the college. The center on the first floor of Valade Hall is full-fledged daycare, accommodating up to 12 children from birth to 3 years old. But it’s also a lab for Adrian College students pursuing early childhood education certificates. “As schools are increasingly under pressure to do more with less, they will look for teachers who have credentials, such as the early childhood endorsement, beyond the basic certification,” Andrea Milner, Adrian’s director of the Institute for Education, told the Adrian Daily Telegram. Rather than seek jobs outside the college, students will work in the daycare alongside licensed childcare professionals. That will help them meet the 60 hours of internship required for an early childhood education certificate. And it will help ease a childcare crunch in Lenawee County, where an estimated three quarters of youths under 5 have two working parents. It’s Adrian College’s second venture into childcare. Its first, a collaboration with Little Maples Preschool for toddlers, was so popular it had to open a second location in 2014. “We’re glad we can address that need while helping our students become the best teachers they can be,” Agnes Caldwell, Adrian dean for academic affairs, told the Daily Telegram. A daycare might not be the first thing that comes to mind when considering colleges. But it’s the sort of detail and dedication to both students and surrounding communities that make Adrian and other Michigan independent colleges unique and truly special. National leaders in education, the schools recognize that college is about both preparing students for careers — and experience. All emphasize community over crowds and a spirit of togetherness and cohesion that just doesn’t exist at big state schools. 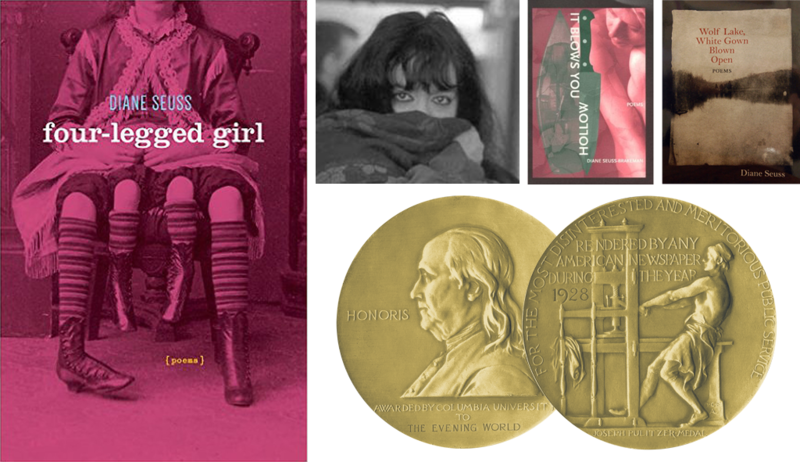 Take a glimpse of Diane Seuss’ biography, and it’s no wonder she’s a favorite at Kalamazoo College. Now, her unique talent and vision is receiving international acclaim, being named one of two finalists this week for the 2016 Pulitzer Prize for Poetry. It’s a huge honor for Seuss, since the Pulitzer is the something of the equivalent of the Oscars or Grammys for the written word. It’s the latest in a series of awards for Seuss, who has taught at Kalamazoo since 1988 and is its writer in residence. 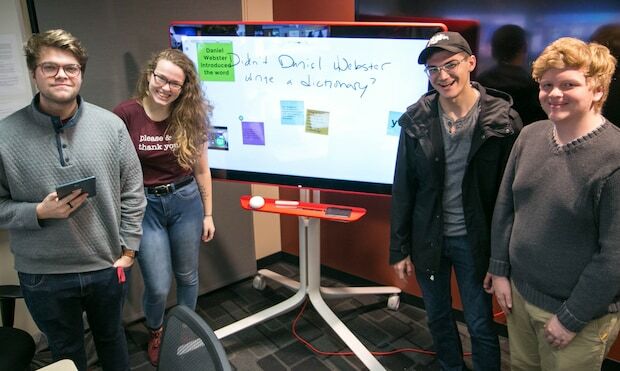 At Kalamazoo, students praise Seuss as a muse, calling her classes a freewheeling experience that opens them to new possibilities and ways of thinking about the world. Her secret? Seuss is passionate about what she does and her love is contagious. “For me, life is writing,” Seuss said in 2010, at the Fetzer Writer’s Retreat. Seuss is also something of a rarity in academia: A world-renowned expert who still teaches introduction-level classes as well as advanced ones. At most bigger schools, 100-level classes often are handled by graduate students. That’s not the case at Kalamazoo and Michigan’s top 15 private colleges and universities. Professors take pride in working closely with students. Class sizes are far smaller than average. That allows professors to forge lifetime bonds with students and help them forge their own paths, buck conventional wisdom and find a new way. Study after study has shown that college not only transforms minds, but it lives as well as wallets. College graduates make 25 percent more per week than the national average, and unemployment rates are significantly lower the more education is attained, according to the Bureau of Labor Statistics. In short, college is “a ticket to the middle class,” according to Bridge Magazine. But getting admitted to one and finishing are two different things, and it’s no secret that some colleges do far better jobs of helping low-income students graduate and get jobs. The online magazine analyzed federal data to rank colleges on how they promote social mobility — offering tuition breaks, mentors and other aid for low-income students, as well as how long it took them to narrow the income gap with rich students after graduation. The results? 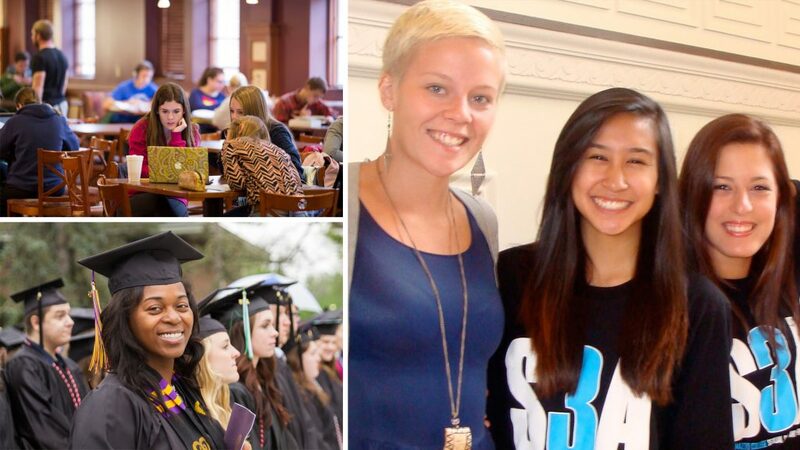 Michigan’s small, private colleges ranked the near the top. Adrian College was the top-ranked private college in the state, enrolling the seventh-highest percentage of low-income students and graduating nearly 60 percent of them. Madonna University was not far behind, offering low tuition for low-income students (less than $9,000) and helping them make similar salaries with high-income students 10 years after enrollment. Olivet College and Spring Arbor University were near the tops in enrolling poor students, while Alma College, Hope College and Calvin College ranked in the top six in graduation rates. Kalamazoo College, inexplicably, was left out of Bridge’s analysis altogether. But using its metrics, would have scored in the top 10 for graduation rates and average earnings. The rankings reflect a deep commitment by Michigan’s top 15 private colleges and universities to improving the lives of all students and offering a path to improve lives. Contrary to popular belief, tuition is on par with many public universities. That’s because students receive far more financial aid. At most of our schools, more than 93 percent receive aid, bringing the cost of a world-class education within reach. Students at Michigan’s independents typically graduate in four years, rather than five or six at public schools. That means they are earning a salary while their peers at big state universities are wracking up more student debt. That also means they have a two-year head start on their careers, which is yet another way Michigan independents help students forge their own path.